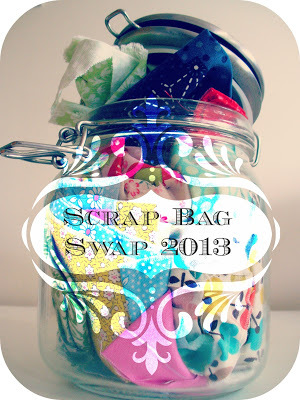 Waiting in anticipation for my scrap bag swap to arrive! Oh what a lucky girl I am! I love the fabric basket and the scraps are perfect for me. Oh I'm a lucky girl aren't I!?! I love the fabric basket and the scraps are perfect- I can't wait to start some scrappy projects!